What’s new with the 2012 Hyundai Sonata? There are several significant revisions of the new model from its predecessor. Buyers have 2 options between a 2.0L turbocharged engine and 2.4-liter direct injection four. It also includes a 2 6-speed transmission, which depends on the type of model. One of the major highlights of the new Hyundai Sonata is the so-called fluidic sculpture design. The new design provides a contemporary look of the new Sonata. The 2.0L turbo engine increases 1 mpg in highway, while the 2.4L direct engine increases 2mpg in the city. There are many updates on the new Sonata including the 7-inch touch-screen built in with HD radio, and a standard 3-piece panoramic sunroof. Meanwhile, the Hyundai’s Blue Link Telematics is now revised into a standard model. The interior of the new Sonata is backed up with attractive gauge bezels, chrome trimmed door pulls, gauge cluster, shift lever, and equipped with 2 large pods for both the speedometer and tack. One of the major interior highlights is the chromed human figure located below the display. This feature has a role to shift the ventilation mode. On the other hand, the figure only controls a single toggle compared to the standard direct airflow into the section. Other optional feature is the driver’s seat heaters, as well the rear and front seats. The navigation system has now built-in with a backup camera, while the Cruise control is now a standard 6-speaker system. The exterior of the new Sonata has the sleekest look with its bold character line. The side profile begins at the trailing edge of the front fender, which runs all throughout the car’s rear end. It also wraps around the head of the taillights. A chrome strip goes all the way the length of the car’s waistline. It also covers the mirrors up to the headlights of the new Sonata. A chrome plated front grille has become bolder than ever, while the rear roofline is assertively raked. The new Sonata has a different wheel size, which primarily depends on the engine configuration and the trim level as well. When it comes to performance, the new Sonata is lighter compared to its predecessor. Expect an improved horsepower with the 2.4L direct injected engine. Meanwhile, the 2.0L turbo engine runs up to 60mph with an average of 126 feet. The skidpad numbers of the new Sonata has significant improvements ranging from 0.78g to 0.82g. 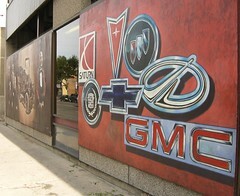 Automobile news is becoming a talk of the town nowadays keeping the road deserted to the latest car models. The car industry manifolds the breakthrough from installation of hand gadgets for driving convenience to modernizing the pinnacle of mechanical engines. If cellphones are competitive enough to dominate the advancement of electronic engineering, then automotive discipline also hurdles tougher in the market. Forget about reading newsletter across car magazines and newspapers when you are just a click away from accessing the world of car encyclopedia in the internet. Rather than wasting your money from buying magazines from nearby bookstores and dumping them in the trash after stacking a pile of it at home, you can log-in through auto websites anytime at your convenience. Many websites offer updates in all aspects of automotive from designs, financial issue in exports, competitive markets of brands and latest speculations that you may not be aware of. Leftlanenews.com previews anything that you want to know about car niche. Headlines capture attention of viewers to read recent reviews, photos and editorials. 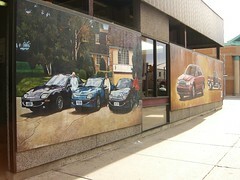 Basically, the site is a member of the Jumpstart Automotive Group as their fulfillment to a warm acknowledgment. It features car models that will generate the future of high-performance electric cars, exclusive updates of on-going car makers, videos and online shopping for car investors. The main headlines of the site reveals TESLA Model X as of February 12 this year that startled viewers about its exterior as well as the engine’s outstanding horsepower function. Still under observation and running test drives, the company gave a sneak peek preview in its overall speculations. So far, the body type displays a SUV or a crossover style. Since the engines are powered by battery, the package includes 60 kWh and 85 kWh ones. What’s even more shocking is that the mileage speed of Model X can accelerate to 60 mph in less than 4.5 seconds. 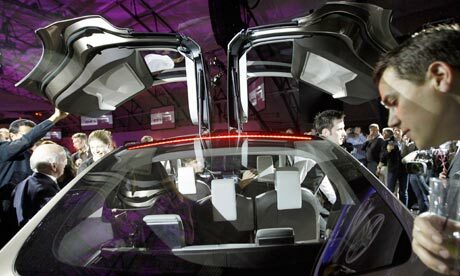 Doors are opened upward as it appears like you are riding in a back-to-the-future vehicle. However, critics raised concern about parking this vehicle in public parking space as it may require additional width limits. In the same website content, another recent news unwrapping a phenomenal invention that is not commonly found in European’s vehicle – steam-powered car. We may assume it odd but for this Swiss man by the name of Pascal Prokob, he considers it a true art. His idea came about when he decided to replace the passenger seat into a stove heater to keep him warm in the winter climate. A miniature chimney is installed to link the pipes out of the vehicle. Think twice before you even blame the weather for his new invention; just may be that could be the next trend in the future of automobiles in Europe someday. Meanwhile, Renault recently reported that a new Mercedes-based luxury car is in its early stages of development. The concept is basically based from Daimler’s Mercedes-Benz platform where the main goal is to increase its offerings in that section. On the other hand, Renault is continuously studying the viability of the new product in the market. This latest development is considered to be the 3rd luxury model that was planned for a Mercedes-based automobile. 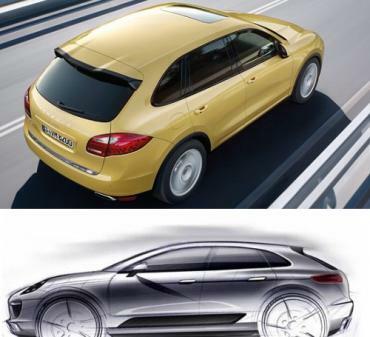 According to reports, the production of the new model is going to be done in France for the entire period. The whole concept will be the combination of the Renaults design while incorporating the Daimler’s platform through the whole process. Renault said that they have a lot of plans in the future. In fact, the 2014 Escape minivan is on their top list and a new luxury sedan for the following year. The partnership of Daimler and Renault started in 2010 with the manufacturing of new engines and mini cars in the market. In other news, the new Kia model called the Cee’d compact car is getting a quality boost with its Audi-style interior. The Cee’d Kia model will be showcasing a mix of sporty touches, as well as the Audi-style details for the car’s interior. This new Kia is set to be introduced in the upcoming Geneva Auto Show next month. The Cee’d Hatchback will be available in the summer in most European countries. The concept of the new model is the combination of prestige and enhanced maturity that completes the entire package. One of the major highlights of the new Kia is the aggressive front design with its very own tiger nose grille that is truly exceptional. 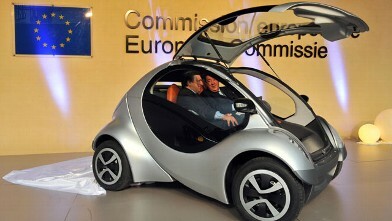 A proud and smiling Jose Manuel Barroso of Europe Union Commission posed for media reporters on the occasion of introducing Hiriko, the folding car to the public. The joint ventures of Massachusetts Institute of Technology and Denokinn Basque Investment Group is now set to produce the commercial version of Hiriko as the world’s first folding car. In an email for media, the project spokesman announced that only 20 units will be made available as initial trial production for the car beginning in the early months of 2013 in Spain particularly in areas of Victoria Gasteiz. The email also added that the price will be determined by the numbers of orders from individual customers and would have an initial price tag of not less than 12,500 Euros and will have an equivalent price of $16,000 to attract prospective private individuals. Hiriko is a pod looking two- seater electric vehicle having a 4 wheel drive and runs about 100 kilometer range with a collapsible wheelbase and entry access from the upward swinging windshield. The Hiriko projects is a long-time vision of Prof. William J. Mitchell but after his death in 2010, Prof. Kent Lacson took over and continues the concept idea dedicated to minimizing city automobiles congestion and eliminating parking problems and winning over exhaust emissions. Hiriko is likened to a shopping cart that can be folded and use in maximized space both on and off the road. Hiriko is also slated to be deployed in cities like Berlin, Barcelona, San Francisco and Hongkong and to other world cities interested in the car. The car is now undergoing different processes of development headed by M.I.T student team including William Lark who acts as the car designer. The student team is creating an electric car with 3 wheel drive but at the same time will be adopting a bicycle mode to meet bike regulations in all European routes. Hiriko project as a visionary concept developed by Prof. Mitchell together with his student team uses a system that allows the concept to be used in other vehicles including the prototype scooters and bicycles. Hiriko, the folding car of the future has been included in the National Design Museum and has regarded as the one that would revive the dying automotive-suppliers in the Basque region and would attract interest from tourism industry. The project is deemed as the car that will bring back Europe and also the world’s interest in cars. 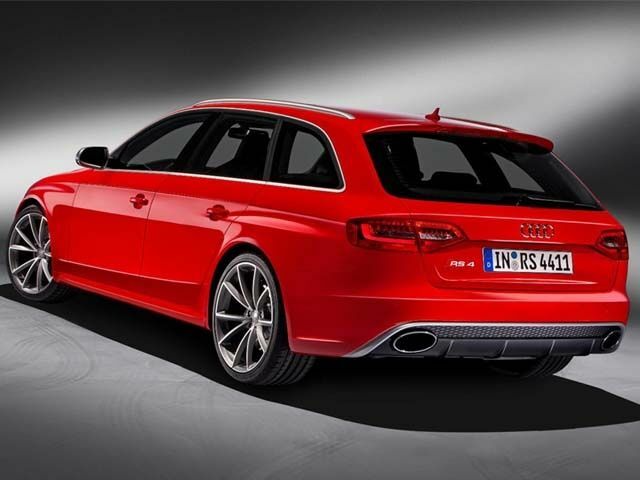 The Audi RS4 2013 Avant is one of the most anticipated car models to be launched in the market by next year. The new RS4 is set to be showcased in the GMS (Geneva Motor show) on March next year, but some pictures were leaked over the Internet early today. This new Audi model boasts vampire-killing headlights and has a sharper look of a sedan. There are many highlights of the new RS4 Audi Avant including the RS4-style front chip, a 450hp 4.2 liters V8 engine, a silver lip, as well the massive inlets. These modifications are integrated with the Audi’s 7-speed and dual clutch S-tronic transmission that everyone must look forward to. The complete package of the RS4 includes a boxier fender flares, RS-style wheels, as well as the phenomenal oval exhaust tips. The interior of the RS4 features a carbon fiber and Recaro sport seats that is truly one of a kind. Meanwhile, the new Shelby GT500 Convertible was showcased earlier this month in a local car event in the United States. Live shots and photos were leaked online and many people have a sneak preview of the said model. Some critics say that the new Shelby GT500 Convertible will eat you alive with its jaw-dropping design. The new Shelby debuted at the Chicago Auto Show earlier this month. There are several highlights and features of the new Shelby GT500 Convertible including the optional performance package. Ford recently announced that this new model is nearly 3.5sec faster compared to the outgoing model in the Sebring International Raceway. It features a 5.8 liter supercharged V8 engine that can produce up to a massive 650 horsepower. The new Shelby is fully equipped with the so-called Brembo brakes and the Bilstein electronic adjustable bumpers, which is the same with the previous model. Finally, the Aston Martin V12 Zagato was featured in the Geneva Motor Show earlier this month. The new Aston Martin is created by the Italian design house called Zagato in honor of the Aston Martin’s 50th year in the industry. The concept of the new model is in collaboration of both the Aston Martin and Zagato partnership. The Aston Martin V12 Zagato has several new features including the 3-dimensional grille and the giant carbon fiber taillight pods. The interior of the model is inspired by Zagato’s theme that has angled zees and integrated with dark piano black accents with satin finishing touches. Tesla Motors show off its latest addition to its SUV edition that will go on production in. 2014. Model X SUV is not different from Model S sedan as it runs on similar engineering platform and slated to go on full blast production this summer. The big difference between the two lies on Model X having a front-facing third row seats making it more visible. The most provoking feature of this Model X is its amazing falcon wing back door. The amazing design allows the doors to cut upwards and stay halfway taking it to function even in a very tight space. With Its wide door, an adult can easily access the rear seat even while standing and can have comfort in strapping small children. There’s no other car model has the same large door opening as it is said to be the largest in any passenger vehicle and Tesla is positive about this. Tesla said that their latest SUV is sure to have a high price tag of $60,000 up to $80,000 while Model S may also have the same price list. However, Tesla admitted that the demonstration car showed to the press people at the company’s headquarter at Torrance, California may not be exactly the model to go in productions and some features may be omitted like the camera that functions as side view mirrors. Tesla’s Elon Musk, acting chief executive of the company this is to improve the car’s aerodynamics and increase its driving range. Elon Musk pointed to Safety regulations as the reason. He also assures the public that the car is not one trick pony as it is not yet in production and reasons out Tesla ought to show off its Model X project. In addition, Musk said the car has more performance compare to a Porsche 911 Carrera. The Model X is set ready for in rear drive and four wheel drive model having twin independent electric motor engines and 0 to 60 acceleration time and 4.4 seconds quick count. Tesla also boosts the large storage area making it possible by having no engine under the hood. During the brief demonstration, Tesla Model X drives around the company’s facilities and takes around quickly with a little body roll along the corners. Tesla is expecting to sell the more of its Model S sedan beginning the middle of 2012 and see the Model X soaring high with its amazing falcon wings. Do you know the most luxurious and expensive car that was sold in Great Britain? If not, then you have to know by now that it is Ferrari 250 GTO is considered as the most expensive car that was sold in Britain ever. Every day, expensive cars are being sold in Britain but lately, news have spread like wild fire and this is all about the purchase of a Ferrari 250 GTO that was sold in Britain for a whooping price of £20.2 Million! Whew! Well that’s one real fortune, indeed! This purchase was also named as UK’s most expensive car ever sold. Who could be that wealthy and very lucky person who has had the heart to buy such a very expensive car? The Ferrari 250 GTO has a number which is 5095 and is believed by many people to have been put into sale by Jon Hunt, a British businessman who has purchased the car some time in 2008 at a price of £15.7 M. well, thinking of the price of this Ferrari car purchased by Hunt is already a big indication that he is really a wealthy man. The truth is Hunt is really wealthy. In case you are not aware, he is the person who has founded and sold the estate agency of Foxton. Classic Ferrari’s John Collins, a Ferrari specialist has confirmed about the sale. However, he refused and did not admit about the notion as to whether or Mr. Jon Hunt owned the very expensive vehicle. Although records and documents show that hunt is the former owner of the car, Collins still failed to admit everything about the ownership of the car. Whatever. Whoever that person, who originally owned that car, there is one thing that is for sure: the new owner will be enjoying the car in his custody. Ferrari 250 GTO comes with a 3-liter V12, 300 bhp, and 0 to 60 miles per hour time for around 6.1 secs. The car has a top speed and velocity of 174 miles per hour. Considering the skyrocketing price of the car, only two 39 GTOs were made were made from 1962 to 1964. The two Ferrari cars are now owned by the drummer of Pink Floyd and Chris Evans. You might feel envious to the former owner and the new owner of the Ferrari 250 GTO. But hey, there are cheaper cars out there that can outrun the looks of that very expensive Ferrari. The most visited sites in the world of automotive are none other than autonews.com. Owned by Crain Communication Incorporated, the website attributes to various automotive suppliers and manufacturers from various models, recent articles and newsletter for readers, latest technological advancement of devices, opinions, videos and current trends in auto shows worldwide. Autonews.com reaches out to car owners or drivers who passionate the art of driving to update their status in launching new events and what gadgets the ingenious car specialists have invented this time. The entire site also post critics and blogs from writers who are working under the national publication and associates of several car companies. Comparisons and competitions are surely a grin to the headlines when astonishing titles are viewed by many. Japan’s fanatic sport vehicles have always assumed a better niche than other sport cars in the market. Check out “The Note” in Nissan’s new minivan! Compact with sophisticated engine and high-quality aerodynamics, the company broadcasted to a closer inspection and particularity in fuel efficiency. The Note embellishes two new features that provide easy access to parking and safety driving. Around View Monitor (AVM) assists the driver for easy parking and Safety Shield Technologies to warn the driver for any road hazards. Opt for a Lexus vehicle? Exhibiting at the 2011 Frankfurt Show in Germany, the fourth-generation Lexus GS 450h is a total package. The 3.5 liter 2GR-FXE V6 beats the impossible in emitting low carbon dioxide gas. With comparison to other GS edition, the 350h is more efficiency and economy because of its 4GR-FSE 2.5 liter V6 component. Toyota releases a similar vehicular structure of a Honda Jazz but this more resilient. Diving in the specs of the Prius c, the company suggested for a concept of using lightweight materials and keeping the center of gravity low. The specs includes 1NZ-FXE 1.5 liter 4-cylinder hybrid which generates into a main highlight in Toyota’s achievement for a better economy, less gas consumption and smooth performance. The news that is being posted by web content editors allow viewers to extract more updates on specifies speculations from various prestigious car companies. From Toyota Prius models to the finest engine of Lexus vehicle, there are more highlights that meets the eye to entertain your hobby in window-shopping cars around the world.